Ships Monday, April 22 if ordered in the next 1 day, 15 hours and 42 minutes! Ecomer is a unique product with alkylglycerols from shark liver oil, traditionally used to support the immune system and protect against infections. Ecomer is the result of over 60 years of scientific research and development work conducted by several scientists around the world. Many studies have shown that Ecomer stimulates the immune system by increasing the production of white blood cells (leucocytes) to the normal level and encouraging growth of antibodies. A strong immune system helps the body to fight against various disorders. 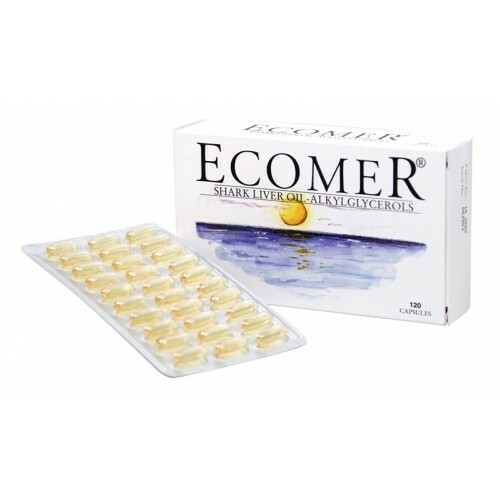 Ecomer is a unique shark liver oil-product enriched with alkylglycerols. Alkylglycerols stimulate the immune system, protect against infections and regulate the production of white blood cells (leucocytes) to a normal level. In human beings alkylglycerols naturally occur in breast milk, bone marrow, liver and spleen. Ecomer increases the production of antibodies in the bone marrow. Ecomer alkylglycerols are derived by a unique process from the liver of sharks from the Artic Sea. The purified shark liver oil in Ecomer contains minimum 20% alkylglycerols. Impurities such as DDT, PCB, and heavy metals are nearly non existent. The unique and sophisticated process is standardised, which means that each manufactured batch has the same content of active ingredients. A controlled production process has isolated the unique combination of active alkylglycerols in Ecomer. 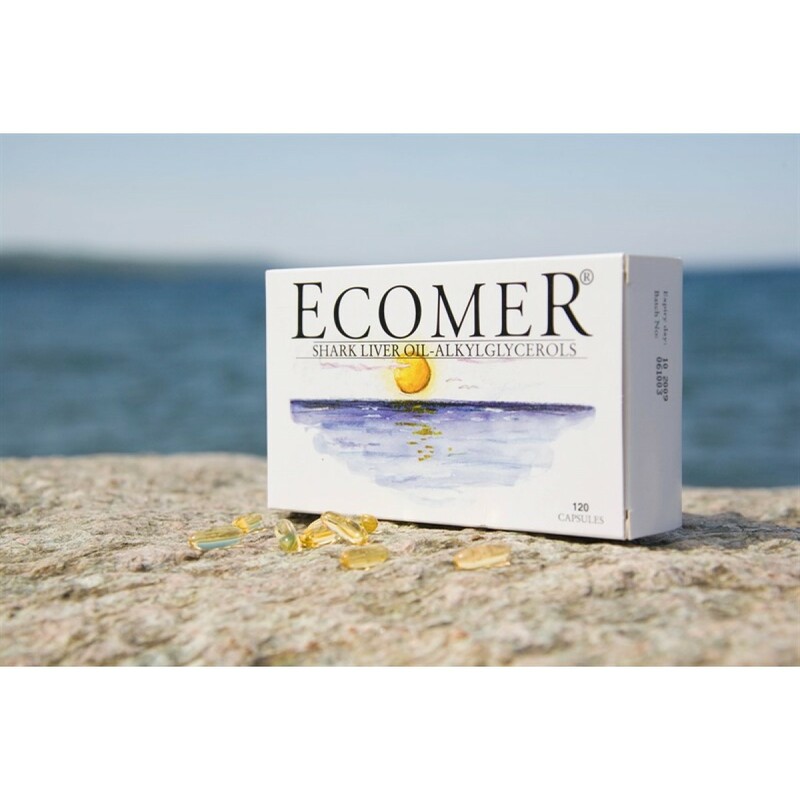 Ecomer is a pure natural product without chemical additives. 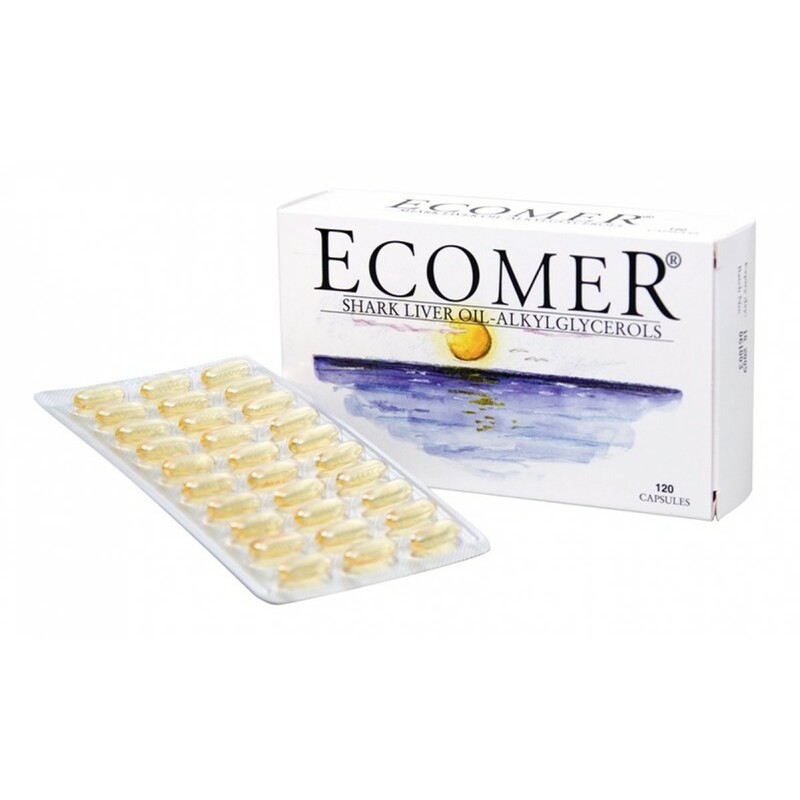 Each capsule of Ecomer contains 50 mg of the alkylglycerols in totally 250 mg shark liver oil. Abstract: Scandinavian folk medicine used shark liver oil for the treatment of cancers and other ailments based on the rarity of tumors in sharks and their ability to resist infections. Shark liver oil is a source of alkylglycerols which have been studied as anti-cancer agents in several clinical trials. Moreover, alkylglycerols have been investigated for the treatment of radiation induced side effects and for their ability to boost the immune system. Several experimental studies have shown the ability of alkylglycerols to open the blood brain barrier to facilitate the access of therapeutic drugs to the central nervous system. This review covers the most important studies of alkylglycerols in both animals and humans. Abstract: Alkylglycerols (alkyl-Gro) are ether lipids abundant in the liver of some elasmobranch fish species such as ratfishes and some sharks. Shark liver oil from Centrophorus squamosus (SLO), or alkyl-Gro mix from this source, have several in vivo biological activities including stimulation of hematopoiesis and immunological defences, sperm quality improvement, or anti-tumor and anti-metastasis activities. Several mechanisms are suggested for these multiple activities, resulting from incorporation of alkyl-Gro into membrane phospholipids, and lipid signaling interactions. Natural alkyl-Gro mix from SLO contains several alkyl-Gro, varying by chain length and unsaturation. Six prominent constituents of natural alkyl-Gro mix, namely 12:0, 14:0, 16:0, 18:0, 16:1 n-7, and 18:1 n-9 alkyl-Gro, were synthesized and tested for anti-tumor and anti-metastatic activities on a model of grafted tumor in mice (3LL cells). 16:1 and 18:1 alkyl-Gro showed strong activity in reducing lung metastasis number, while saturated alkyl- Gro had weaker (16:0) or no (12:0, 14:0, 18:0) effect. Multiple compounds and mechanisms are probably involved in the multiple activities of natural alkyl-Gro. Abstract: Shark liver oils are the source of alkylglycerols and squalene but contain relatively low amounts of polyunsaturated fatty acids (EFA). They are modulators of immunity to infections and cancers. Their protective action from bacterial and fungal infections indicates that they should be recommended in the patients suffering from atopic dermatitis. Those patients because of xerosis and disturbances of skin barrier are susceptible for that kind of infections. Shark liver oil as an adjunctive agent in cancer therapy, especially in radiotherapy, and in the treatment of infectious diseases. Abstract: Fish oils are the source of nutrients important for health maintenance. 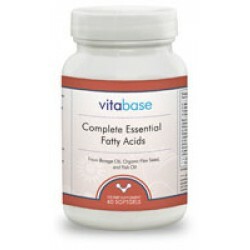 The most significant are essential fatty acids (EFA) of n-3 family, alkylglycerols and squalene. N-3 EFA are of great importance in atherosclerosis prevention. Alkylglycerols and squalene are modulators of immunity to infections and cancer. Shark liver oil contains great amounts of alkylglycerols and squalene, and moderate of n-3 EFA. Therefore, it is used as an adjunctive agent in cancer therapy, especially in radiotherapy, and in the treatment of infectious diseases. 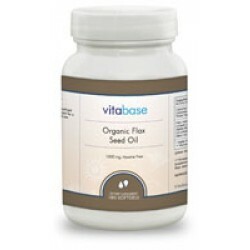 Abstract: Fish oils contain several active compounds that modify cell activity and influence various functions of the body. Shark liver oils are rich in alkylglycerols and squalene, but contain relatively low amounts of n-3 polyunsaturated fatty acids. Alkylglycerols may control immune response possibly throw modification of platelet activating factor (PAF) and diacylglycerol (DAG) production. Squalene enhances antigen presentation and induction of inflammatory response. Moreover, alkylglycerols and squalene have antitumour activity, that is possibly based on different mechanisms, ie., induction of apoptosis of neoplastic cells, suppression of signal transduction, inhibition of angiogenesis and promoting of transmembrane transport of cytotoxic agents. Shark liver oil has been found to be useful in treatment of conditions resulted from inadequate immune response, and in adjunctive treatment of several types of cancer.